Purchasing power is the amount of home you can afford with the amount of money you have to spend. 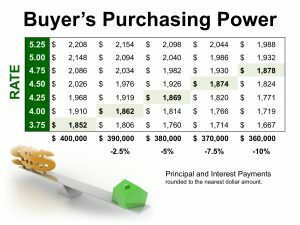 Interest rates have everything to do with your purchasing power. Take advantage of our still low rates to get more bang for your buck!! !